Ostarine, which is also known as Ostabolic or MK2866, is a selective androgen receptor modulator (SARM). At the present time, it is still in the clinical testing phase, where it has been found to positively influence muscle mass and bone health. What's more, it has also proven itself to be effective in the treatment of age related muscle wasting issues, as well as with prevention of muscle wasting in those with cancer and other diseases. Therefore, it is not surprising that this compound is currently one of the most popularly used SARMS in the fitness world. Originally, ostarine was under development by Merck, and has since been taken over by GTX, Inc. The end goal of developing mk2866 is to replace growth hormone and hormone replacement therapy, especially with those suffering from old age or muscle wasting diseases. In the meantime, athletes have acquired ostabolic, and have utilized it to help them reach their fitness goals. Hence the reason it has become extremely widespread in the crossfit community in recent years. Ostabolic does what all SARMS do - it binds and activates the androgen receptors to create a boost in protein synthesis, making muscle and strength gains much easier for the user, and preventing any sort of catabolic effects. Nonetheless, unlike anabolic steroids, it does this without causing prostate issues and shutdown of the pituitary glands. In fact, ostarine has been shown in tests to be non suppressive when used at moderate dosages for 4 weeks or less. Additionally, it has been proven that mk2866 will increase bone mass and will improve joint health. It does this by increasing bone density in the body due to the anabolic effects on skeletal muscle and connective tissues. Furthermore, ostabolic will not increase estrogen levels, as there is no aromatization with this compound. Neither will it cause dihydrotestosterone (DHT) issues like balding hair, or lead to the metabolization of nortestosterone, which can affect libido and sexual health. If we add up all the benefits we have talked about so far in this profile, we can see why ostabolic has been used by so many athletes in recent years to give them an advantage. In terms of bodybuilding, ostarine can be used either on cycle or off-cycle to help keep and increase lean muscle mass, while also burning fat. It does all this without increasing side effects or causing any noticeable suppression. Therefore, athletes who compete in crossfit or other endurance/strength sports can benefit from ostarine's boost in strength, endurance, and wellness. Additionally, ostabolic will also help prevent and heal nagging injuries in order to keep the athlete in top form year round, allowing them to push harder and for longer during the season. 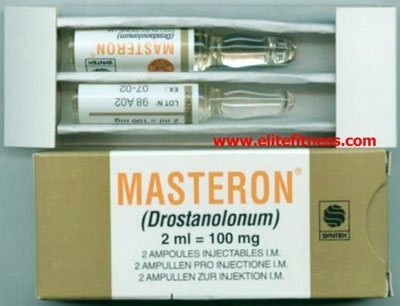 Since the day when it was banned by the WADA back in 2008, scores of athletes have been caught doping with ostarine, even though there are no clinical trials that could officially show performance enhancement of this compound. Just a couple of such examples are the cyclist Nikita Novikov, who was suspended for using ostarine, and a UFC fighter Tim Means, who tested positive for ostarine before his fight. Besides, not only males are fond of ostarine, proof of which is Chaltu Beji, who blew away her competition at the 2015 European games at the 3000M steeplechase, but she failed her doping test due to using ostarine. As a result, she was disqualified thereafter. Ostabolic is the most versatile of the SARMS because it can be safely used in so many different ways. For instance, even though it can be taken solo, ostarine is more popularly used by those trying to recomp with a double or a triple SARMS stack. As you may well know, recomping is when the athlete wants to lose body fat and gain muscle at the same time, and it is one of the most difficult feats in bodybuilding. However, along with Anabolicum (LGD) and Cardarine (GW), ostabolic is a tremendous compound to use for recomping, and it makes the achievement of this feat much easier. Moreover, you can also add ostarine to your existing steroid cycle stack to help with joint and bone healing, and to avoid injuries. Due to the fact that ostarine will not suppress the user when used properly, it is safe to use during post cycle therapy (PCT) and bridging, which makes it a truly unique compound. Consequently, ostabolic is perfect for your PCT or bridge phase, as it works so well at preventing muscle wasting. Besides, this means that you will keep more gains when ostarine is used. Ostarine can be suppressive if used at dosages higher than recommended, or when used for 5 weeks or longer. Hence, if you choose to do this, a light PCT with a natural testosterone booster is required. The half life of ostarine is 24 hours, so it can be perfectly dosed once or twice per day with pretty much the same results. Ostabolic can be run from 12.5 to 50 milligrams (mgs) per day, with a daily dosage of 25mg being the sweet spot. Those who are looking for only bone and joint healing can run it at the minimum dosage and yet see good results. The optimal cycle length is 4-12 weeks. Keep in mind that ostarine is taken orally – you need to squirt the liquid directly into the mouth, swallow it, and then chase down with juice. Ostarine is made widely available by many supplement and research chemical companies. The bad news is that due to lax regulations, many companies will attempt to sell underdosed, bunk, or fake ostarine (many times you are getting prohomones or steroids instead!). For this reason, it is important to seek ostabolic from a reliable source like sarms1.com. Females can utilize ostarine at half the dosage as men without any sort of side effects. Therefore, the right dosage for a female athlete would be 6-12.5mg per day total. So you want to try Ostarine (MK2866)... HERE ARE THE FACTS OF THIS WONDERFUL SARM! !